Kansas State has been a mainstay in the NCAA Tournament over the past 10 years, including appearances in the Elite Eight in 2010 and 2018. 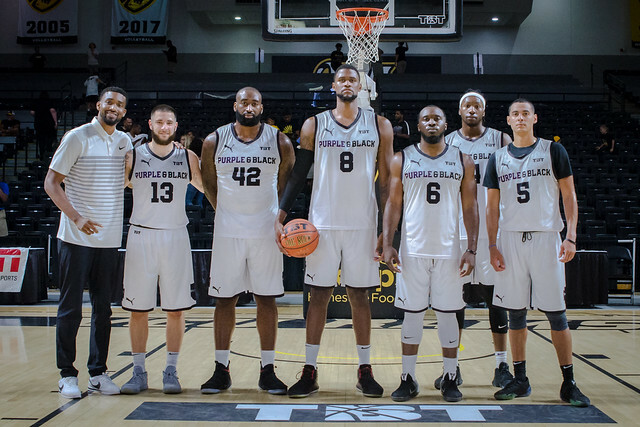 That same success has carried over to TBT, where alumni squad Purple & Black made a run to the Super 16 in 2017. So, for many Kansas State fans, an early exit from TBT wasn’t something even remotely on the radar. That became their reality in TBT 2018. In the first round of last summer’s South Regional, 10th-seeded Purple & Black took on seventh-seeded Dirty South. 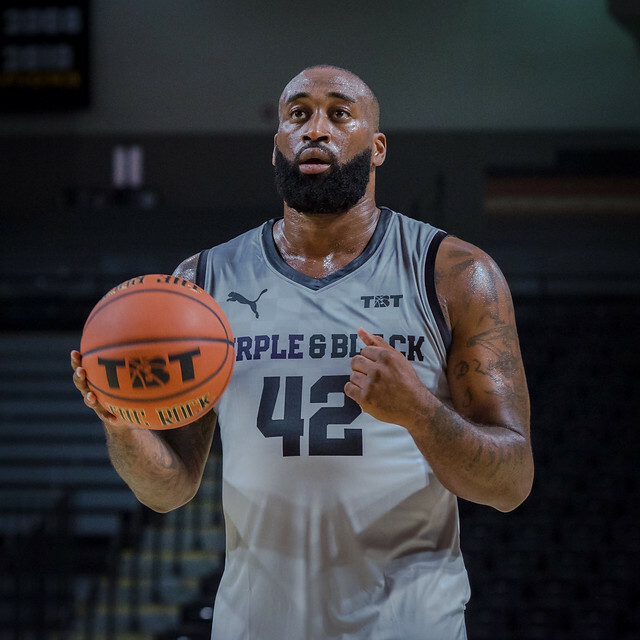 Despite a 25-point outburst from Marquis Addison, Purple & Black couldn’t overcome its lack of depth (they only showed up with six players) and lost 76-74. While it would be easy to make excuses, Purple & Black General Manager and starting forward D.J Johnson says that regardless of the circumstances, losing in the first round is unacceptable. While TBT may have been a short-lived experience in 2018 for Purple & Black, they are planning a much longer stay in 2019. On Tuesday, TBT announced that Purple & Black was officially accepted into the Wichita Regional. For Johnson and the rest of the squad, a successful run this summer is dependent on leaving last year in the past. Another key for Purple & Black heading into TBT 2019 is a new 7-10 day long training camp that will take place in Manhattan prior to the start of the tournament. Johnson says that this, along with a much more committed roster, will be paramount to Purple & Black’s success. While Johnson may be creating a new culture for the team, it doesn’t mean that there won’t be any similarities from last summer. Johnson is bringing back starting guard and leading scorer Marquis Addison. Also returning is Addison’s backcourt partner Martavious Irving and forward Thomas Gipson, who are both beloved figures in Manhattan. Some new names include 2014 Second-team All-Big 12 member Marcus Foster and 2016 grad Justin Edwards, who are currently playing pro ball in South Korea and Israel respectively. They’ve also added some height, bringing aboard Bakersfield Jam forward Akeem Wright and the returning Curts Kelly, who played with Purple & Black in TBT 2017. With the skeleton now in place, Johnson says that he hopes to add up to three more big names before training camp gets underway. In addition to getting revenge for last year, TBT 2019 has brought on a special meaning for Purple & Black. Playing just under two hours away from Manhattan will afford them the opportunity to reconnect with the Kansas State faithful.